Enjoy Amazing $avings On The Best Jamaica Accommodations! If you appreciate the information shared on this website, please support my efforts and book your vacation using the Booking.com box below - at no extra cost to you. In fact, you'll get the best deals - I promise. Click here and see why we decided to partner with them. Here Also Are Some Amazing Deals In Montego Bay - Right Now! NOT QUITE SURE WHAT, OR WHERE TO STAY IN JAMAICA? Email Me Your Travel Booking Request. Not only am I usually able to find and recommend to you great deals, I give my personal (Real Jamaica) insider review of the properties here. I then send you my recommendation and you book it yourself - you keep full control!! Not quite ready to book? Click Here to be among the first to get Jamaican travel specials & deals! Backed by more than 1 million favorable guest reviews! ... including everything from apartments, vacation homes, and family-run B&Bs, to 5-star luxury resorts, tree houses, and even igloos. ... without booking fees and backed by our promise to price match. Extremely Simple and Easy to Use! Booking.com uses the latest technology to ensure that your booking experience is a breeze, providing all the information you need to inform your decision. Customers can reach Booking.com 24/7 for assistance and support in over 40 languages, anytime day or night. And so we are honoured to be a part of this global brand. You now can share in the benefits. Can I Book Other Non-Jamaica Travels Too? Absolutely! 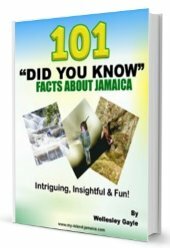 Although I would consider myself to be a Jamaica Expert, our Booking.com engine is actually global and so, you are welcome to to book non-Jamaican travels there as well. Basically, you can book any and all your accomoation to anywhere in the world! And, you'll still benefit from the great rates and savings (we verified that), while I get a little commission. A total Win-Win for both you and I! What If I Am Not Ready To Book My Jamaica Accomodation? Bookmark (save) this page until you are ready to book your own travel. Refer your friends to this page you are reading (link above). Do You Have A Form I Can Complete With My Travel Requirements? In fact we do, yes! Please see the client information form below or click here to scroll down and complete it. Want To Subscribe to Our Free Newsletter?